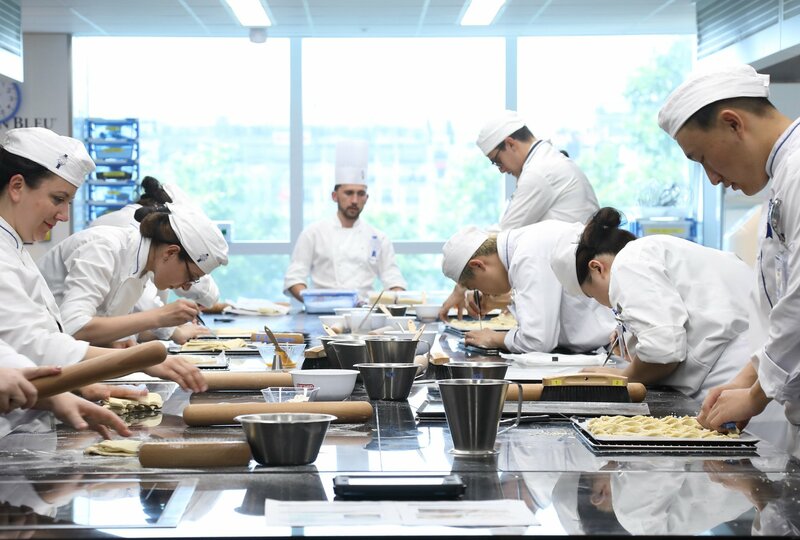 Paris, January 2018 - Le Cordon Bleu Paris, the leading Global Network of Culinary Arts and Hospitality Management Institutes, announces the launch of the new version of its Pastry programme. The culinary arts sector is constantly evolving with new trends frequently appearing. Le Cordon Bleu Paris takes these evolutions into account by regularly updating its programmes. In its quest for perfection and excellence, 35 hours per trimester, or around 100 hours in total, have been added to the pastry training programme. These extra hours are dedicated to new workshops which will enable students to further develop their ability to create, reinvent and innovate. The all-time French pastry classics will still feature but students will be asked to give them a new style. The training programme will also allow a wider range of recipes to be covered. An introduction to several complex techniques (sugar work, centrepiece, chocolate…) is taught. Finally, during an extra examination, students put all the techniques learnt during the training programme into practise during a production exercise. Pedagogical innovation is part of the Institute’s DNA. Today, we are proud to offer an enhanced pastry programme, which enables our students to reach an even higher level of creativity and technical prowess. French pastry classics do, of course, remain an integral part of the programme but we ask our students to surprise both our eyes and our palates by deconstructing and reinventing them stated Sylvy Morineau, Le Cordon Bleu Paris Academic Director.